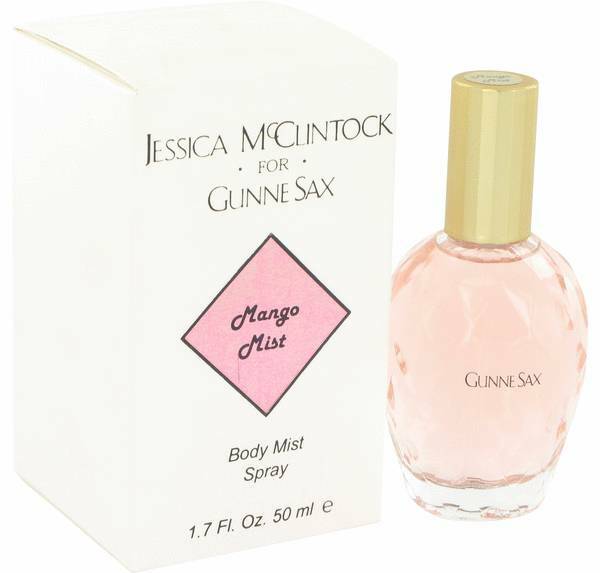 Gunne Sax Mango Mist Perfume by Jessica Mcclintock, The top notes of this romantic fragrance come from melon, with its juicy, aquatic feel, and tangy raspberry. The complexity of bergamot rounds out the opening and leads to the floral heart. Middle notes from the powdery, clean scent of orchid blend with the rich, spicy aroma of lily to impart a touch of sharpness to its intense femininity. Peppery wood notes with the lingering scent of sandalwood are smoothed by the inclusion of deep, warm Read More Read More vanilla in the base. Designer Jessica McClintock had no formal fashion design training when she partnered with the founders of a San Francisco retail store in the late 1960s. From that small beginning she grew an international lifestyle brand that continues through product licensing today. Gunne Sax Mango Mist is one of several fragrances named to pay tribute to the iconic dresses that were created as new expressions of romantic Edwardian and American prairie fashions. All products are original, authentic name brands. We do not sell knockoffs or imitations.